Thanks for the welcome! Alumni '69, East Central High School. Cindy and I were wondering; what ever happened to Mack Creager? Your search engine didn't direct us to an obit, so is he still kicking? Mack and my father-in-law, Ken Vandever were great friends from KRMG days as well as KOTV. I remember trading cheap shots with Mack gettin ready for the six o'clock and the ten o'clock news. By the way, you forgot about Gary Griffith who was a sportscaster at KOTV. His dad was Tulsa police chief! Cindy reminded me that the original castle for Lee and Lionel's afternoon movie show was retired to her family's garage until it was donated to a day care center in Tulsa. Lionel and Granny Lion (there was a third lion but his name escapes me) were also housed at the Vandever home. Some really bad puppet shows were staged for the neighborhood kids in that garage. I read that KOTV let Lee Woodward go in the 80's. that was a big mistake!! Then again, I left Tulsa KOTV for San Diego KFMB-TV because of the stupid management at the station. Some Dunn and Bradstreet Bigwig's son; that had been fired from a station in Hawaii; made a bloody mess of the whole place. He was the cause of my father-in-law retiring early from KOTV's Sales Department. If Bob Brown ever writes back, I would like to again apologize for rear-ending him in the KOTV parking lot in December of '70. My car was a new '70 Ford Torino, his was an older Buick or Olds. Oh, Sartain needs to tell about the "live" broadcast of his show and how all the "night people" of Tulsa besieged the station and took most of it for souvenirs. We laughed about it for three weeks!! Time to sign off, By the by, what is your name? Mack was at the KOTV 50th anniversary reunion; see pics on the KOTV page. The other puppet was "The Count"; see pic on the Lee and Lionel page. I was wondering whose terrible idea it was to lose one of Tulsa's great TV personalities, Lee Woodward. Re the live Mazeppa show: I was there, but not as a kleptomaniac. See the "Origin" page for the story. The stations could be mean spirited about money for announcers. We heard rumors that talent fees were sent for us announcers, but were kept by the station management without notifying us of their existence. Just as penurious was the general manager of KFMJ who demanded a 15% cut of any extra voice work done by announcers---that is, if he could find out about it. I inherited the $15 per show talent fee for the evening sportscast on KAKC after Mack Creager left in the late summer of 1952. Mack told me about it and advised me to fight for it. It really galled the program director, John Wheeler, that I was to get such a hefty fee for the Mon.-Fri. 15 minute show. This gave me a total of $325 a month for a 48 hour week, which wasn't bad, and unheard of at KAKC. But, KAKC almost had the last laugh, because I had to threaten to sue KAKC and the general manager, Jim Neal, in order to get my last months paycheck after I left for KTUL. This type of thing apparently is still going on. I saw an article about eight years ago which stated that the highest profit rates in broadcasting were in Texas, mainly attributable to the low salaries paid their on-air people. In the early 50's, I started announcing on KVOO-TV, Ch.2 for 75.00 per week. I clowned on a kid's show for $5.00 per show, and I M.C. 'd a music/talk show, three days a week, for another $5.00 per show. I was named chief announcer after a short time and my salary went up to $85.00 per week. We got $3.00 per spot for a live on shift spot and $5.00 for a live spot call back. Of course I paid $90.00 per month to rent a nice 2 bdrm house. I bought a brand new '55 Ford for less than $3000, with payments of $55.00 per month. I was glad to get it. In '55, I moved to KOTV for $100 per week and made practically nothing in talent fees. My last month on Ch.2, I grossed $1000. Talk about being in tall cotton !!! Was reading in Broadcasting - longtime GM of KAKE-TV in Wichita, Martin Umansky died at 83. Probably raised the bar in local programming in Wichita and created a great local station of the 70's and 80's. Made KAKE a community-service icon - kinda the way Tom Goodgame tried to do with KTUL in his heyday. Local news AND public affairs were important responsibilities. For years KAKE would have been a likely potential employer for us "escaping" T-town. BTW his son Barry whom I worked with in DC at NAB (he was a staff counsel, now a hotshot communications lawyer) - I never knew was one of us from the Southwest, never connected him and THE Martin Umansky - so I guess it IS a smaller world. To Frank M. et al: question. Were radio guys getting salary + talent fees when you worked in Tulsa? All of us TV techs got hourly wages at 40 hours a week (and begrudgingly got o.t. OR comp time) but I often remember radio brethern stuck working 6 days a week to make their 40 if not salary. John Chick made all of $5 talent fee for doing v.o. for slide spots at 8 but looked forward to doing on camera spots for the BIG money - which I am guessing was $25-50 a spot unless a live spot in his show then he got a "taste" of each spot he "sold" as a minimal commission plus a minimal on camera talent fee. At KVII in Amarillo - we got comp time which MOST of us were never allowed to take when we wanted to and most of us ended up losing. When you left the company - comp time was NOT turned into cash. Policy was "you should have taken the time when WE offered it to you." Other than my former boss there - former engineer/good old boy/straight shooter Toby Tucker whom I heard left TV - most were snakey small market TV types. Grrr. I am sure there are a lot more stories to tell. I may have mentioned RL Bullock and Howard Craig Smith of KTUL both working in Springdale, AR in the early 70's before coming to 8. The owners paid sporadically - maybe you got your first 2-3 checks on time then as I recall a.) you might be paid once a month "due to cash flow" and then that would be behind 2-3 weeks or b.) never again. Big turn-over and as I recall when the station was reported to Arkansas dept. of Labor - "the fix was in" - for years I was told, nothing done to protect the employees about backdue salaries but a state official was slipped cash by the station owners - a "bud" as Jimmy Leake might have called them. Also complaining employees may have been snitched to station management so their tenure would have been short-lived. Had to wonder with Tyson's and all the so much much more richer employers in Sprindgale if this wasn't much more wide spread....Life ain't fair. I think it was the former TV station in Goodland or Hays, KS (now just a translator) that had studio crew bunks in the back of the studio in the '60's - hard to find help - so workers got free rent, a small salary but were on call 6-7 days a week. Get yer meals at the DQ. A positive perk was at a station in Springfield, MO with a swimming pool. Not having a sufficient water supply nearby for fire protection but was told the owners had a pool was built for this and an as employee/family perk. Does anyone recall which station this was??? In 1956, I overheard a TU history professor talking with a government prof. The latter was saying that he had received an offer from Ohio State, but that he was holding out for $4,500 a year. The history teacher was green with envy. I thought, "Damn. I'm making $400 a month at KRMG, and I thought I was underpaid!" Oh, yes. By 1948 my dad's salary in Tulsa with British-American Oil Co. had risen from the $185 in 1939 to $375. This was a drop from his World War II salary as an Army major. He was raising a family of four without much stress---single income family. I worked at KOTV from January 20, 1970 until August 1, 1974; as a broadcast engineer. Starting in the Videotape/projection area and moving up to Audio Control and eventually to Technical Director (Switcher). I left for the greener pastures of San Diego, CA and worked at KFMB-TV Channel 8 for a short while until I went into the Air Force. I also married Ken Vandever's (Head of Sales at KOTV) youngest daughter Cindy 24 years ago and have three beautiful daughters. I currently manage a RadioShack here in Yuma after managing a smaller one in California for three years. Enough about that! I do however have a few stories to "rat" on the on air talent crew at KOTV. Like the Mack Creager incident. A whole lot about Mazeppa and others. For a small fee, my silence can be assured. Just kidding!! I'll blab to anyone that wishes to hear them. Special note to Gailard Sartain, I know what happened to your original wizard hat from your first season on KOTV. By the way, you make an excellent Oliver Hardy. So, from the guy in the control room, signing off. Play the Moonlight Serenade and cut the transmitter. I definitely remember reading your name in the credits. Also, I checked my 1966 Lewis and Clark Jr. High yearbook, and you are there. Salaries! Not TV but I recall reading somewhere former TU Pres. and beloved prof, Ben Graf Henneke made something like $1,500 a year post WWII. Long time Speech Prof. and sometime broadcaster Rod Jones also mentioned that was what he could expect with a Masters, teaching at TU. I guess college profs weren't supposed to make decent salaries THEN. Makes me realize now why my Dad, just a high school grad but Medical Corps dental tech with the Illinois National Guard, returning from the WWII Pacific Theatre opted for getting "a good Union" trade job as a photo-engraver apprentice rather than going to university for 4 years and dental school and achieving a now long-lost dream of becoming a dentist. There was a unique program featured on one of the three Tulsa stations before World War II. It consisted of the announcer reading various things such as pithy sayings, aphorisms, and particularly commercials of no longer than five seconds duration. He read them slowly because the listeners were supposed to write down all the designated statements verbatim, then send in their dictation to the station. Those whose responses were perfect in grammar and spelling would receive a pro-rated share of a small pot of money. This being 1939, and with the Depression still going on, my English-major mother would write intently, hoping to supplement my fathers $185 a month salary with British-American Oil Co. By the way, this income was big in 1939. He brought his family to Tulsa from Bartlesville in 1937 where his salary was $85 with Indian Territory Illuminating Organization, which later became Cities Service, then later Citgo. Oh, yes, our rent at 13th and Trenton was $27 per month for a two-bedroom frame house which still had an icebox, not a refrigerator. It does seem that previous generations had a better handle on grammar, spelling, etc. If you watch the old Groucho Marx quiz show, "You Bet Your Life", you see that the average working person appears to have had a pretty solid foundation in geography, world affairs, etc. (unlike some of the contestants on Regis Philbin's show). Of course, the Jeopardy contestants of today aren't too shabby. How did you find TTM? Pippin Toad Me!!! Hey!!! I like It!!!! Jerry said it was a good one. Thanks, Charles...Charles was interviewed on Jerry Pippin's internet radio show last week, the same show I was on. Charles' site has a staggering number of links to photography-related sites. I just took a peek at the one about 3D cameras...interesting. Mike, Jim Wheaton is who you're trying to think of. He had several clients in the '70s, most notably U-Need-M Tires. Remember the tom-toms, then the catch phrase, "Ugh! You Need'm Tires?" I think there are a few threads on him several Guestbooks ago. See Jim Back's comments from the Guestbook, and one of Jim W's print ads on Tulsa Radio page 5. I think Perry Ward did Safeway spots. He was always nice to everyone and upbeat on and off camera. I remember his son. Somebody should provide an update. Also, what was the name of another one-man ad agency who did a LOT of radio commercials in the 70s and possibly later. He had a distinctive older voice and I think I first heard him doing Conners Corners (great burgers) spots. First name could be Jim. Help. Talk, 4 min. ; commercials, 4 min. ; talk, 4 min. ; commercials, 5 min; Network news 90 seconds; commercials, 2 min. ; local news, 2:25; commercials, 4:20. That is all I could take. I felt embarrassed when I remembered my previous entry about commercials in which I had said that two minutes seemed to be standard, and that occasionally there were three minutes of commercials. Of course, I didnt even mention the plethora of info-mercials that we see on TV. All this has ushered in a new word regarding the media: zapping. In the past, you would tend to stick with a station out of sheer inertia, since, to change, you would be forced to stir off your haunches. The number of stations available bred a lot of itchy trigger fingers. That probably forced a more frantic pace for programs, attempting to forestall the inevitable "zap". In the old 3-station days, you tended to "work with" a program for a lot longer before giving it the boot. The TV landscape after midnight is definitely a "vast wasteland", wall to wall infomercials. Ron Popeil is still in there pitching, though. I idly took a spin through the TTM archives and, surprisingly to me, found only one mention of Perry Ward. This is odd, because Perry was omnipresent in the fifties, pitching everything he could bring to the tube. He ran a small ad agency and did his own commercials. A smiling, rotund fellow, Perry had to work hard to bring in revenue in a market that featured too many business owners who hawked their own products on the air. He had cheat sheets scattered all over the set, because, naturally, everything was live and there were no teleprompters or even cue cards. One of the problems--one among many in live TV--was that when you were supposedly safely off-camera, the switcher (human or electronic) might be hung up and there you stood with a piece of paper in your hand--a mortal sin, to be sure. Perry was usually unflappable, able to make the proverbial chicken salad, no matter what the situation. On one occasion, he was delivering a commercial for one of the supermarkets, a task that involved extolling the qualities and prices of several items during a one-minute break. The piece de resistance was a thing called the "Syfo Syphon Bottle," a device that allowed you to turn a water-filled jug into a sophisticated seltzer bottle. Perry showed how you simply took the cap off a bottle, poured in plain tap water, inserted the CO2 cartridge, pushed a button and--Voila!--a stream of sparkling liquid gushed into your glass. I don't know what the problem was: Perhaps the threads on the cap were defective, or maybe he just screwed it on wrong. At any rate, as he moved to the climax of the demonstration, the camera racked over to an extreme close up of his hands holding the bottle, his thumb pressing the button. And, sure enough, water came out of the spigot. It also came out around the cap, lots of it. Perry's pudgy little hands and his crisp white cuff were solidly drenched by sparkling, foaming aqua which dripped happily toward the floor. And then the denouement: A medium shot of Perry, soaked to the elbow, still dripping, and being forced to assure the audience that they could purchase this wondrous contraption "for only two forty-nine." He never wavered. He said it as though it was really a good deal, one we'd all love to have at home. Perry's son, a very nice kid, worked at Channel Six for a time--maybe for a long time, for all I know. I left and lost touch with most of the staff. Wasn't Perry Ward the spokesman for a chain of supermarkets, like maybe Safeway? I do remember him. Jim, your story about Gordon MacLendon's wire recreation of a baseball game with the imaginary errant dog (see the Sports Page) was quoted by Jerry Pippin on his KBIX radio show last Thursday. He loved that one. Come on, you guys. Time after time, I have griped, and moaned, and bitched about filling out the BMI/ASCAP forms. Perhaps not as much as some of you because I was more understanding, more placid...and because I was an ASCAP writer. Those BMI/ASCAP guys were/are indeed a real pain. I don't know how it's done today, but in the 1970s, we'd have to drag a typewritter into the studio about twice a year for a week at a time to keep track of every song we played. These logs were not used to figure out how much to charge us, but instead were used to extrapolate how much to pay each of the song writers in their catalog. So it wasn't enough that we paid them, we had to do their job of assigning payment to their already-overpriced talent! A few years ago the cable companies were sued by ASCAP - not over license fees for networks like MTV, HBO, etc., but because they wanted money for any and all of their music used on local public, education, and government (PEG) channels. Most such music comes from licensed music libraries, but we don't typically keep records on all that. They said we could just pay them a blanked annual fee and be done with it, or we could try to prove we don't use their music by researching and documenting every single piece of music used (like for background music when city council agendas scroll on the screen, etc.) on every local PEG channel. It's almost like they were saying, "You cable operators probably aren't using much of our music, but we figure the cost of proving it is greater than if you just pay us to go away." Can you tell broadcasters and we cable guys don't have much love for music licensing! Jim is Back! Bet you've heard that one about as often as I have been held for "ransom". By the way, my brother has been in much better shape for the last several days...I am tremendously relieved. When I worked as Night Supervisor at Pyramid Video in DC - one night about 12 years ago was pressed into service to edit some video for ASCAP - the music rights folks - for their NYC office. The client was engaging and I mentioned I had worked at NAB and how anti-music rights the association had been. The producer said formerly he had been the district coordinator or whatever they called the job of guy getting rights cash collections from stations down in MS that covered then/now NAB President Eddie Fritt's radio station. Said Eddie was notorious for evading these guys at payment time and one time supposedly (when Eddie was a lot smaller girth-wise), he crawled out an office window at the station to avoid a confrontation! We need Don Lundy, Jim Back or John Hillis to tell us now how stations and cable entities pay BMI and ASCAP - as Jim Ruddle said it DOES boggle the mind. There is a possibility that your webmaster will make a brief phone appearance on Jerry Pippin's KBIX internet show tonight at 6 p.m. While I totally agree with Noel and Frank about the commercial blight that affects broadcasting, one area that has changed for the better is the elimination of the damned second-by-second log keeping. And that annual BMI/ASCAP business was simply insane. I don't know how it's handled now, but it was the biggest P-I-T-A in broadcasting. It's normal to look back at the Good Old Days That Never Were, and be dazzled by illusion; however, the change of broadcasting from a phony public service to an outright shill can't be looked upon as an improvement. Stations were told to do public service--news being one way--and they all did. Perhaps it was inadequate, with some converted plow-jockey stumbling over AP wire copy, but it was an attempt to let a little light into an otherwise Carlsbad-cavernous society that got its illumination, if any, from such sources as the Tribune and Brother Conley. PSA's and public service programs such as those touting the armed forces and the national guard ("Here's to the Weekend Warriors...." may seem overdone to our jaded ears, but, as far as I know, they did no harm, filled empty airtime, and cost far less than the multi-million dollar DOD recruting campaigns that seem to tell me that even I, antique and couch-bound, can be all I want to be. Maybe I should leave the room. Anyway, the idea that the Future Leaders of this Great Republic are listening to FM rock stations that have NO, NADA, KEINE news--or maybe just word that the first KISS concert of the new millenium is about to occur--and who never watch news on television because it doesn't have a woofer thumping in the background, eases the thought that my mummified remains will be on exhibit in the Gilcrease Museum (Frontier Broadcasters Section) by the time these twits take over. Frank Morrow and other old timers must be as shocked as I, over not just the extended minutes of commercial time (both radio and TV), but the airing of competitive sponsors, not only in the same break, but sometimes back to back. Also, as I admire the wonderul production on many spots, I, as often as not, realize that I have no idea what and for whom they're advertising. And then we have Tom LoChiatto, Doug Hickey, and the arm-windmilling, eye-popping guy from 4 Day Sales who stick to the basic hammer-it-home philosophy. Before the Reagan de-regulation of radio there were some semi-self-imposed limits on the amount of commercials. The semi part came from the pluses which the FCC considered in the amount of non-commercial airtime (sustaining) a station had when license renewal time came. Other favorable factors were public service announcements and news shows. 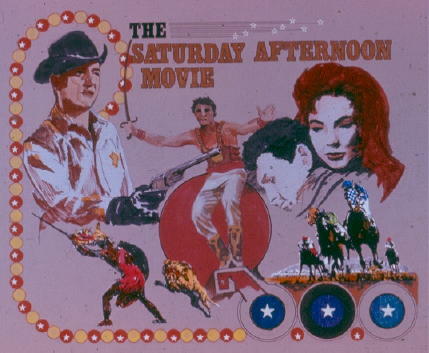 Prior to de-regulation, at least in the 50s when I was in broadcasting, commercials were limited: network station breaks were 30 seconds, newscasts usually only had one main commercial of no more than 60 seconds, even though many newscasts were of a fifteen minute duration; and double-spotting (two commercials in a row) was frowned upon, although it occasionally was done. If double spotting did occur, it was usually done with two 30-second commercials. The commercials between innings of baseball were for 60 seconds. Never was a commercial inserted during play. The only exception to this I found was at KFMJ where the GM, Lawson Taylor, came up with the idea of handy ads. He called them the equivalent of want ads in the newspaper. They were considerably cheaper than the usual commercials. There would be several short announcements stung togethermaybe as many as ten--of about five to seven seconds in duration each. Additionally, there were many public service announcements for organizations like the Red Cross and even the CIA-front Radio Free Europe. Even promos for the armed forces were free. After de-regulation we can see that the broadcasters did not establish the above policy out of the goodness of their hearts. Now, two-minute commercial breaks are standard---many even longer---with many announcements being strung together. Newscasts are truncated to make way for insertion of more commercials. One-third of the airtime for TV newscasts is allotted to commercials, and plugs for programming are placed as news stories. Commercials are even inserted into sporting events while play is going on. (I heard a radio station in Boston that would cutaway from Celtics games for commercials while the players were running up and down the court.) Now, the Pentagon must pay for recruiting commercials. I heard he most amazing example of this commercialization when driving by McAlester, when a local station strung together seventeen commercials and promos. I hosted Hi, Jenks Live along with Jacob Givens from October 1996 to May of 1997 on Cable Channel 20. The show was a live "Late Night with Conan O'Brien" format program. It was very different from the current "uncreative" programming put out by Tulsa, Broken Arrow, and Jenks. We were the first "Hi, Jenks" class to focus on Tulsa with local bands and guests. Our guests included Rick Wells, Sam, Jones, Uncle Zeb, and Scott Higgins. Musical acts included Good, Black Wednesday, and Rage Against Men (A "very local band"). This show was also put on with the help of Stephen and Jeffrey Lassiter, Scott Guthrie, Brian Lundin, and Erin Brady. There were also several other students who contributed to the show as well. Hi, Jenks was a local television gem compared to what Tulsa Television offered in the late 90's. I have tapes of every show and would be interested in anyone who viewed or attended Jenks to give me an e-mail. I'm sorry I missed that one. That kind of local TV is rare now. What a memory! I grew up in T-town in the early '60's. I saw those late shows and late, late shows with my mother. I remember Fantastic Theater when the theme song was "A Quiet Village," but your research into the Peter Hardt theme is really impressive. Do you remember a show they ran a couple of times, "Kalti: The Immortal Monster? ", a kind of Blob ripoff. I've asked several websites and they won't respond. Also, "The Killer Shrews" about a bunch of long teeth wild dogs? Also, channel 8 had a Sunday afternoon theater for a brief time with some really great cheezy movies. So "Quiet Village" really was the theme song for Fantastic Theater originally? I guess I heard right on the Johnny Martin show all those years ago. How about Italian-made "Caltiki, The Immortal Monster"? I'll bet that's the one you remember. Here is a link to a site about Italian horror pictures: The Golden Age of Italian Horror. Also, take a look at a great movie resource, the Internet Movie Database (http://imdb.com). Both your movies are mentioned there. Click here for Caltiki. Folks: Webmeister Mike Ransom's brother was gravely hurt in a bad motorcycle accident the other day in Tulsa. Any good thoughts/wishes/prayers you could send his way would be appreciated. Thanks, Mike. It has been extremely difficult. My brother came through a surgery yesterday, and more are planned. The web site may not change as often as it has in the past, but it is therapeutic for me to keep up with it. Thanks for all your good wishes. During the 1984 National Republican Convention in Dallas, Al Neuharth invited my boss, Nevada U.S. Senator Chic Hecht to his Gannett booth for a visit. As Hechts press secretary, I tagged along. Great food I recall and after the formalities, I decided to take the opportunity to lodge a complaint we had with one of Neuharths newspapers, the Reno Gazette-Journal. The Reno paper was extremely liberal and Senator Hecht, was just to the right of Jesse Helms. I explained to Al, (we were already on a first name basis,) The Gazette-Journal wont even read our press releases. The editor wads them up with much ceremony and tosses them into the waste basket. I waited for Neuharths jaw to drop. Sorry Mike, but I never interfere with the editorial policies of my newspapers, Neuharth replied. Nothing like striking out in the owners box. I was so annoyed I ate six more shrimp. How did you find TTM? A link came with USA Today! To Jim Ruddle - dunno what cage for the Gray Ghost - Al Neuharth, but he IS "paper trained". Arggggh. 16-17 years ago Gannett had the big editors/manager roundtable in OKC at the Skirvan. They ordered something like 60 Lincoln Town Cars in black - Al's was gray. For years he wore black, white and gray - no other colors. All the managers/editors toured KOCO wher I worked - not Al - he did not deign to appear there. Al is on marriage #2 to a lady chiropractor from FL - with kids -- hello Tony Randall or hello, Viagra. Was profiled in Parade magazine a year or 2 ago. We had just heard from Trey Callaway, an L.A. writer/producer with roots in T-town, reminisced about "Poor Ol' Pappy", discussed pro wrestling at length and breadth, touched on NBC's "Monitor" radio program and crystal sets.